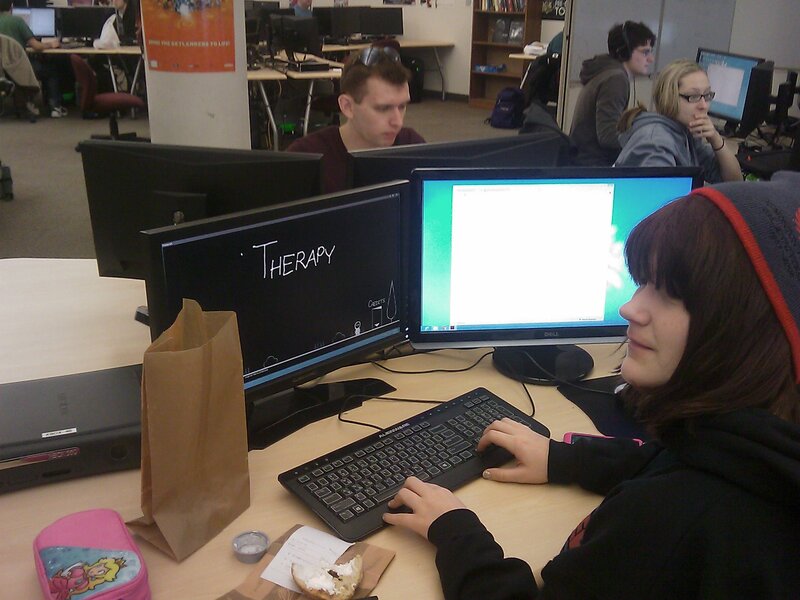 Welcome to the RIT Interactive Games and Media School site for the Global Game Jam. In case you don't know about the jam, it's an international event where anybody (subject to the RIT campus 18+ rule) can show up to create a digital or non-digital game over the course of a weekend. It's a lot of fun and you tend to meet very cool people with great ideas. It's also just fine to come without a pre-made team, although we welcome pre-made teams as well. We can generally hold around 60 people in our lab facility on campus and this year we're welcoming IGM alums to jam with us. Since space is limited, you MUST register for the event. This involves creating a free account with an email address on the global site and also signing up on our jam page. If you are driving, you can get directions from the campus map site. Using the online interactive campus map, you need to find the Golisano building. We are closest to parking lot J on the campus and parking is free after 5pm and on weekends. The jam is held in room 2000/2025. The room is on the second floor and can be seen from the atrium. We are inviting all IGM alums to come and jam with us this year. Last year we noticed that more and more alums in the local area were just randomly showing up for the jam and so we decided in the spirit of encouraging alums to stay in touch that we'd host an official alum event during the global game jam. If you just want to come for the food and company of alums, please feel free. For those that can't make it back to Rochester (or don't like the snow), join us online and group with previous IGM alums or current students to jam over the weekend. Whether you are here in person or want to jam online, please sign up on our official GGJ site, so we can get a count of who's jamming. For everybody that wants to join the alum dinner (guests are allowed), please sign up for the event by clicking the link for the dinner and then signing up at that site. Due to generous sponsorship from alumni relations and IGM, the dinner will be free and for jammers we'll be hosting the dinner on the RIT campus so that it will be a part of the jam. 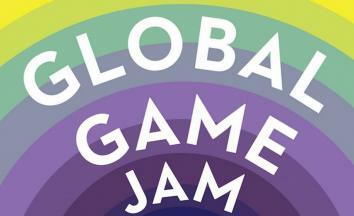 The Global Game Jam (GGJ) is a world wide event in which everyone can participate to create a game rallying around a particular theme. All participants own their work (subject to sharing it). 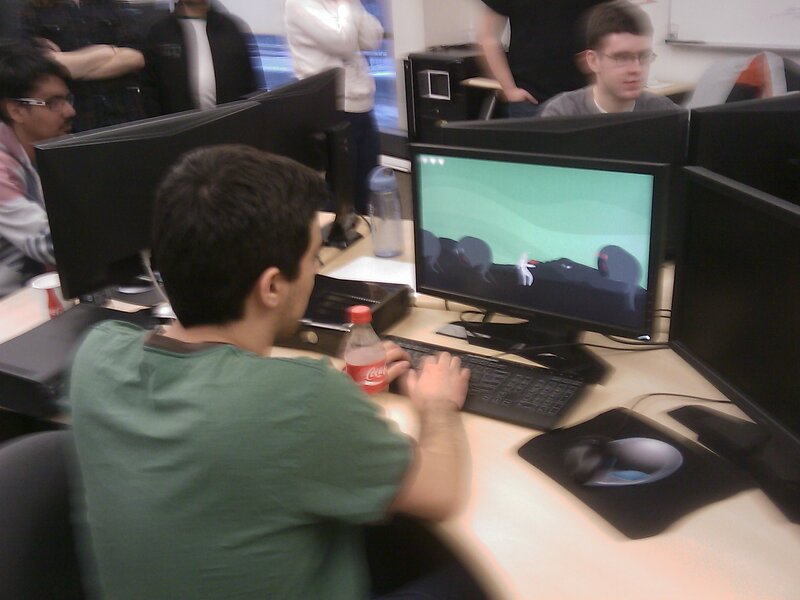 RIT has been jamming in this event since 2009 when our very own Stephen Jacobs wrote about the event on Gamasutra. The event was founded by Susan Gold, Ian Schreiber and Gorm Lai. Ian Schreiber is now a faculty member in the Interactive Games and Media school at RIT and continues to be heavily involved in running the world wide event. The event was originally run on the RIT campus by David Schwartz and Jessica Bayliss. Jessica remains the local coordinator for the jam and both recruits faculty to help keep the jam site open around the clock (labs can't remain open without a supervisor in the lab) and raises funds to help buy lunch and dinner for participants.